The SQL scripts generated for the migrated schema objects will now be executed in the target database. You can monitor execution in the logs, if errors exist then they will be fixed in the next step. Table data will be migrated in a later step as well. 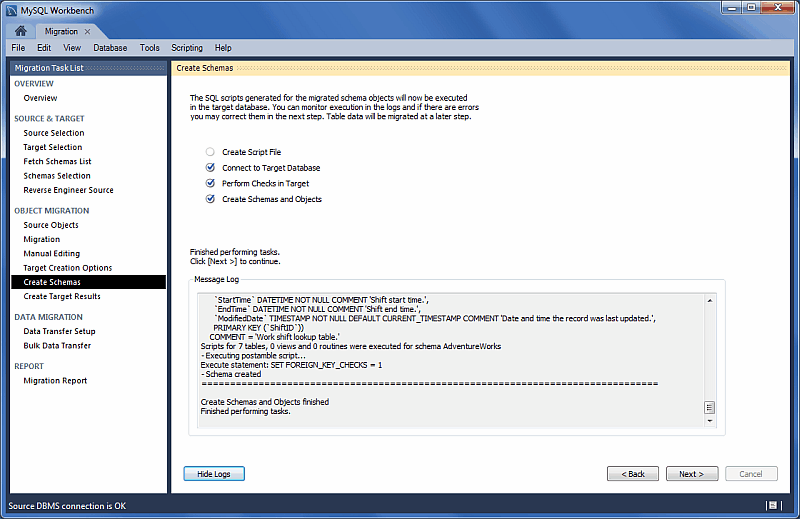 As the following figure shows, this is an automated step and the actions include: Create Script File, Connect to Target Database, and Create Schemas and Objects.